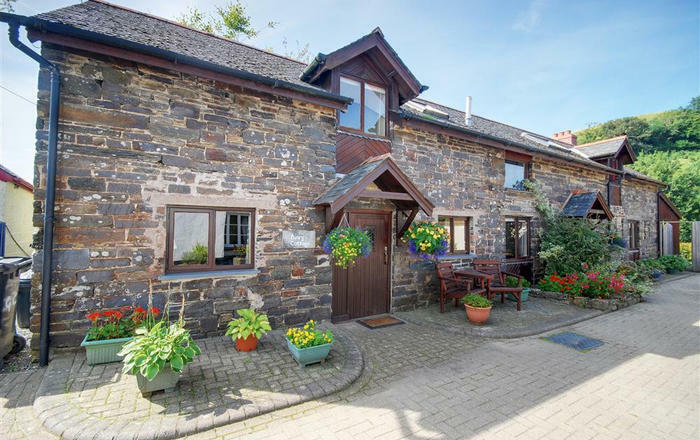 The Old Cider Press is a stunning conversion which has transformed a former cider press farm building into very stylish holiday accommodation. 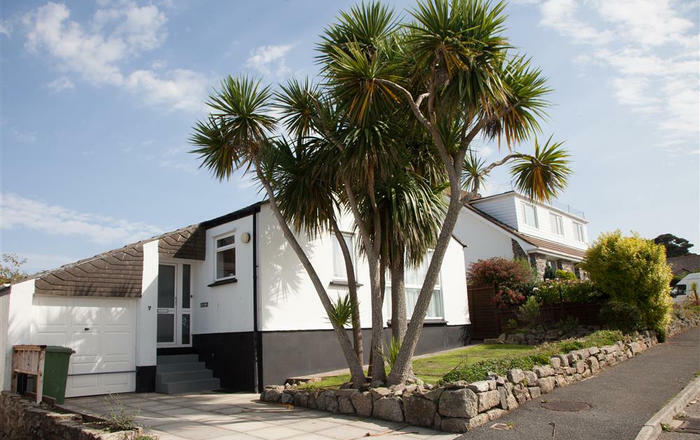 Recently completed by the owners and lovingly refurbished to provide a high quality, spacious property in a lovely East Devon setting. 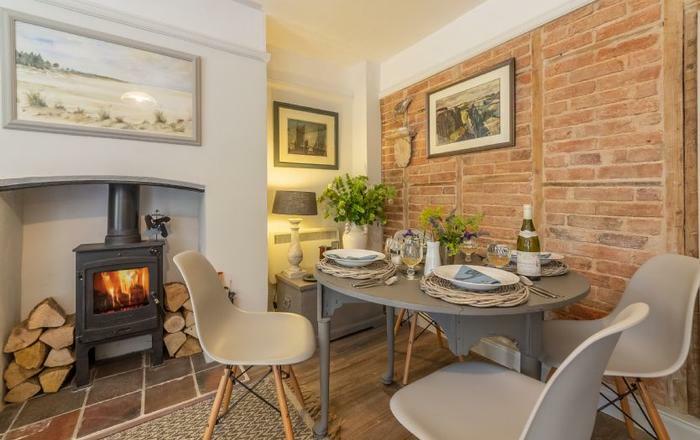 Located in the pretty village of Colyford, in an Area of Outstanding Natural Beauty and only a short drive from the magnificent Jurassic coast of West Dorset. This attractive stone cottage has been sympathetically restored, retaining much of the character of the original building. 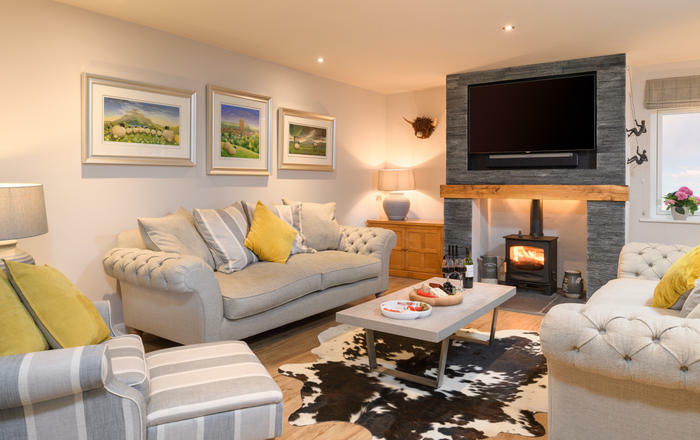 The recent conversion means the cottage benefits from the added comforts of pristine new bathrooms as well as a lovely fitted kitchen, outdoor patio with seating and a BBQ. 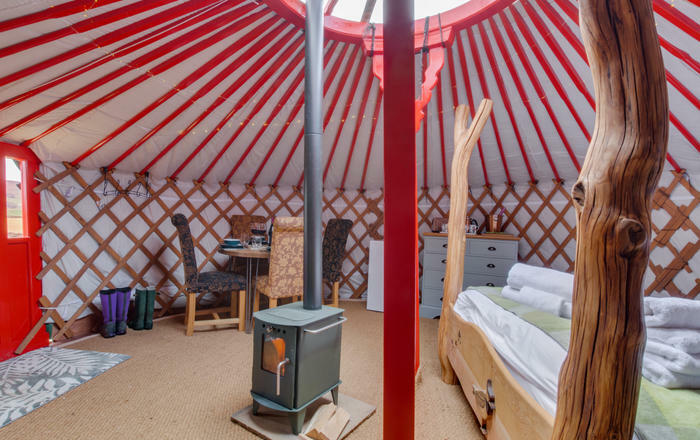 With the addition of a Woodburner, makes this a great choice for out-of-season breaks too. The surrounding countryside is perfect for walking and the beautiful coast, famous for its fossil beaches is just 5 miles away. 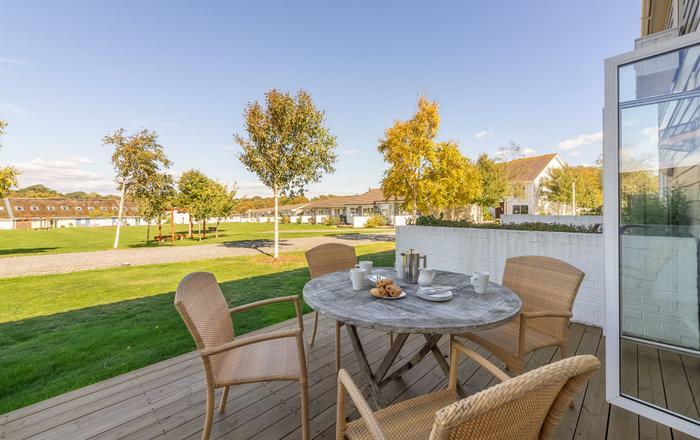 This property and the very appealing cottages across the courtyard, offers a combined holiday acccomodation for up to 10 people. Please also see Hollie and Rose Cottage. Click on the following links: HOLLIE COTTAGE, and ROSE COTTAGE which sleeps 2 guests in each. A short drive away are the popular coastal towns of Seaton, Beer, Charmouth, Lyme Regis and West Bay. The popular Seaton Tramway, running along the Axe estuary, stops nearby offering a relaxing way to discover the local area. The whole of the Jurassic Coast, now a World Heritage site, is within easy reach and the lovely West Dorset seaside town of Lyme Regis is only 15 minutes away by car with its sandy beach and seafront promenade. The town includes celebrity chef Mark Hix's superb Oyster and Fish Restaurant, along with many other restaurants, cafes, pubs and tearooms. For those that enjoy a culinary treat, celebrity chef Hugh Fearnley-Whittingstall's River Cottage shop and restaurant are also only a short drive away in the East Devon market town of Axminster.